Excolony - Your pleasure is our innovation. 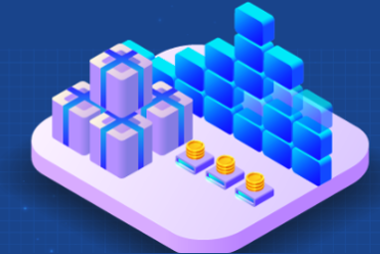 EXC is a new centralized exchange that applies a publicly verifiable off-chain matching engine to handle the massive trading volume and support complex orders. 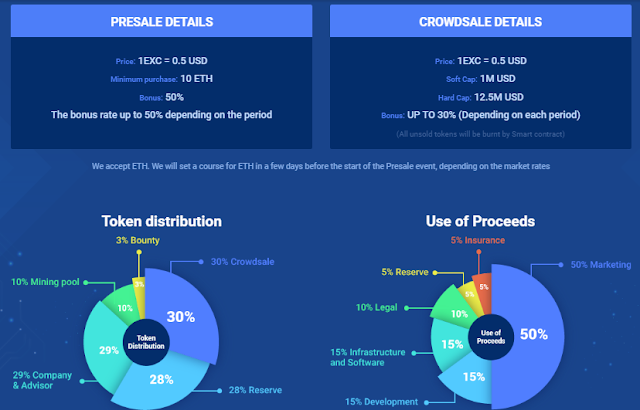 In addition, we will spend 5% of EXCOLONY capital and 10% of annual profit for secure Asset and Fund of User (SAFU). 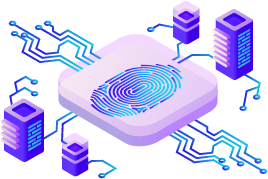 Furthermore, being user-friendly and safe to use, EXCOLONY will soon become an important part of global cryptocurrency market. 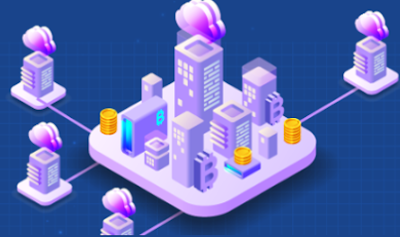 The mission of EXCOLONY is to provide compatibility between all transaction bodies around the world and create an ecosystem which allows real-time transactions and data sharing with low cost. 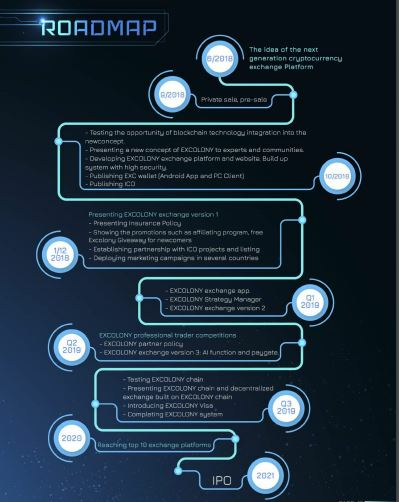 EXCOLONY is the awaiting Next-Generation Digital Currency Exchange, which has various functions helping users in trading such as AI trade, SAFU, ICCO, Delegated Investment, and Paygate. 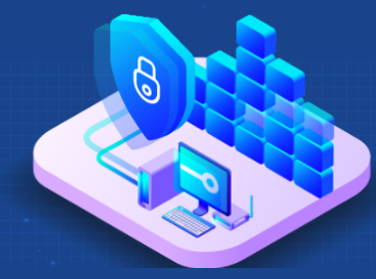 Nowadays, with the development of technology, there are various cryptocurrency exchanges has been hacked and the lost is estimated at about billion dollars. 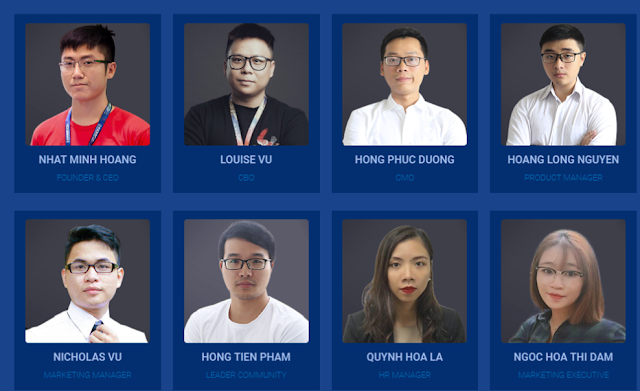 From the tech team, business team to marketing team, etc… they have huge experience in working in the cryptocurrency and finance field. they have built even world-class platforms with high-security standards, therefore they understand how to build up a new system for Excolony. Excolony INVEST is specifically designed for you. With a few steps of registration then you can get into the cryptocurrency markets by investing in the potential Experts that you believe. They Experts are extremely experienced and well-trained in cryptocurrency investment so that you can believe in them to make more profit without researching the market or suffering any kind of risk at all. You can pick your own Expert to invest in base on their statistics, profits, winning rate of investment cases, etc. You are the one with experiences in the cryptocurrency markets? You can read the graph and have good trading skill? You can quickly increase the value of your account just by trading? You want people to know more about you, as an expert in cryptocurrency markets? Join Strategy Managers and become one of Excolony’s Experts. Take this opportunity to earn more profit from this potential cryptocurrency market by letting investors invest in you. Helping new an inexperienced investors to earn more profit for yourself so. 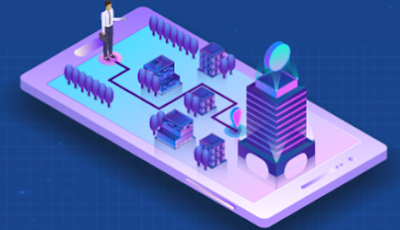 New traders and investors may like the Excolony DEMO, on the grounds that they have opportunities to trade and experience the cryptocurrency exchange without risk. Each Demo user has an amount of EXC and instruction in steps. Nonetheless, EXC in demo exchange has no value, also the profit. Monthly, EXCOLONY resets the record and EXC DEMO traders have to start from the beginning. VIP function includes the promotion about price, service, support and give-away gifts for those who buy this package. Turning to the AI in the VIP function, when users buy VIP package, which having AI will have supports from ExcolonyAI. The functions of AI are prediction of the market trend, risk management, going with users and stable coin identification. In brief, the VIP package has full features to help users get the maximum profit.